No one ever said job search was easy. Honestly, it may be one of the toughest projects you’ll ever work on! 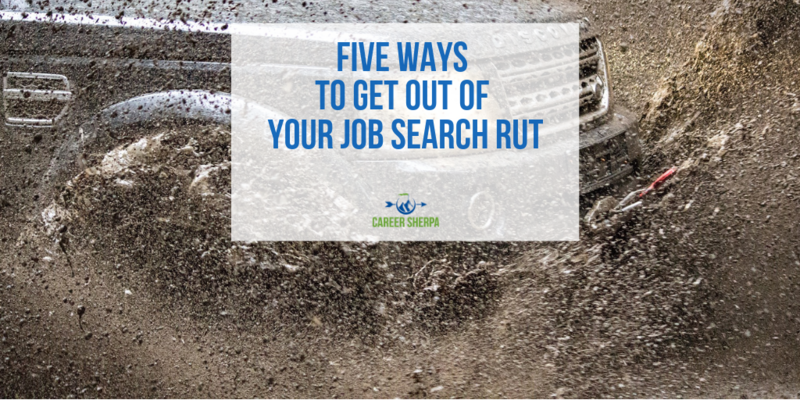 So if you find yourself stuck, try shifting your thinking with these tips to get out of your job search rut. Would it help if I said that looking for a job is like running your own business? Bear with me here. Both require vision, time management, a good product or service, a clearly defined message, salesmanship, and confidence! Oh, they require a plan too. It is quite difficult for one person to master all these skills. Yet, every day new businesses are started and while many fail, there are many that thrive and reach amazing heights. Let’s take a look at five ways you can go improve upon what you are doing and improve your job search as well. In all honesty, I believe we are who we are. We all have good, bad, and even ugly sides to us, but sometimes we have a tendency to get in our own way! Celebrate your strengths and positive qualities by clearly communicating them. In other words, stop being so humble. Personally, I don’t think you should hide the things that make you different. This is part of the vision and branding of you. Know what makes you different and present the best of you! A business would refer to this as branding and sales! You need it too! We all have opportunities for self-improvement, but don’t obsess over these. Know where your weaknesses lie (online as well) and develop a plan to fix them over time. 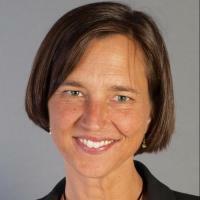 Be sure you convert who you are and what you do to address the needs of the employer. You might be super at “building relationships” for example, but how does that help the employer? Help the people you talk with to connect the dots between what you used to do and what you want to do next. Speak in their terms, not in the jargon of your past employer. A business might call this marketing. 3. Square pegs don’t fit in round holes. This means a couple of different things. First, be sure that what you want and what the employer offer are the same. Find out if your values are similar to the culture and values of the companies you are pursuing. Second, if you continue to try and jam a square peg in a round hole, it gets frustrating. So, if you are not having luck with your job search tactics/methods/approach, you’ll have to make it fit! Make the square peg fit into the square hole by learning how employers hire and adapt your approach appropriately. Businesses have projects and implementation plans and regularly evaluate what is working and what is not in order to adjust what they are doing. 4. Be crystal clear about what you are looking for & where you belong. You wouldn’t release a new product into the marketplace not knowing your target market intimately, would you? Part of your role during job search is to conduct market research in order to understand what the demand is for your service. You do this by talking to people and learning about the problems they face in their departments or companies. You are listening and learning. It is highly likely that you will see instances where your experience, successes and skills would help solve some of the problems they’ve identified. Use this data/information your marketing materials (resume, LinkedIn profile and cover letters). 5. Every minute costs money. Plan every hour of your search day. Map out your schedule a week in advance and create daily to-do lists. There are no excuses. You are in the driver’s seat. You own this business. Make it profitable by following through on your plan.